According to the J.D. Power and Associates Vehicle Dependability Study (VDS), the Hyundai Sonata Hybrid was rated 3.5 stars out of 5, placing it marginally better than average, but below the hybrid class leader, the Camry Hybrid, which scored 4.5/5 stars. The drivetrain found in the Sonata Hybrid is now proven after several years in use with little to no issues having arisen, meaning the Sonata Hybrid is a good buy if reliability is at the top of your priority list. Most buyers of previous year model Sonata Hybrids rate their vehicles highly, with the current generation only having occasional reports of minor electrical or mechanical problems – though nothing resulting in any recalls. 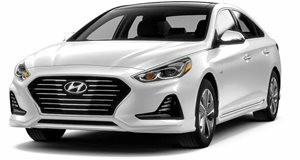 Hyundai Motor America (Hyundai) is recalling certain 2016-2018 Hyundai Sonata Plug-In Hybrid vehicles. These vehicles are equipped with a Voltage Protection Device (VPD), designed to protect the high voltage battery module, that may activate inadvertently. Hyundai will notify owners, and dealers will remove the VPD switch and install a new Battery Management System (BMS) that contains an Overvoltage Protection Device (OPD). The recall is expected to begin May 2018. Owners may contact Hyundai customer service at 1-855-371-9460. Hyundai's number for this recall is 175.